A new outsourced vehicle remarketing deal has been agreed between BCA and PSA UK. It will support the sale of used vehicle inventory for the Peugeot, Citroën and DS brands across remarketing channels and suppliers. Based at BCA’s remarketing solutions centre in Peterborough, the outsourced sales support team provides data, insight and strategy support to PSA UK’s used vehicle operations as well as support for franchised dealers to find the vehicles they need to meet customer demand. This service is managed through a dedicated account team of a manager, data analyst and sales consultants, and supplements the PSA used vehicle sales team. Mark Spray, head of used vehicle operations at PSA UK, said: “BCA offered an innovative and joined-up approach to our used vehicle remarketing needs across all fronts. 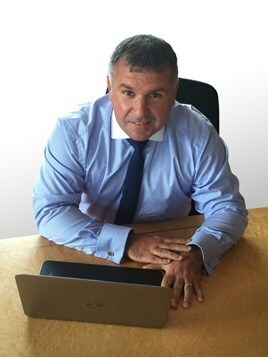 Craig Purvey (pictured), BCA’s chief commercial officer, said: “This is a significant partnership deal that will see BCA supporting the remarketing strategy for PSA across all markets and suppliers. The announcement follows on from a remarketing agreement announced earlier this year for BCA to handle the disposal of 50% of PSA UK’s contract hire and PCP returns through auction. Citroën and DS stock is sold at BCA Bridgwater, Measham and Brighouse, with Peugeot vehicles on offer at Bridgwater, Nottingham and Bedford, with fortnightly BCA e-auctions also offering Peugeot stock. As part of the services suite to PSA UK, BCA already provides an inventory management, channel allocation and online sales solution for Citroën and DS used vehicles. The announcement follows on from a substantial remarketing agreement announced earlier this year for BCA to handle the disposal of 50% of PSA UK’s contract hire and PCP returns through auction. Citroën and DS stock is sold at BCA Bridgwater, Measham and Brighouse, with Peugeot vehicles on offer at Bridgwater, Nottingham and Bedford, with fortnightly BCA e-auctions also offering Peugeot stock.